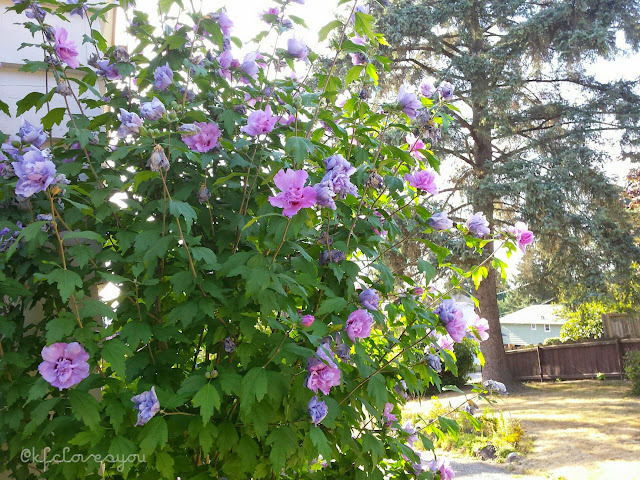 I wanted today's post to just be simply about the beauty found in nature and how you find it almost anywhere. 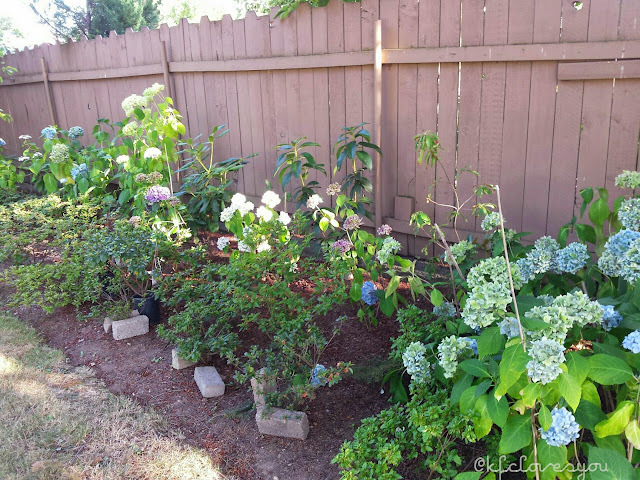 Lots of hydrangeas and such along the side fences. Asian pear tree. 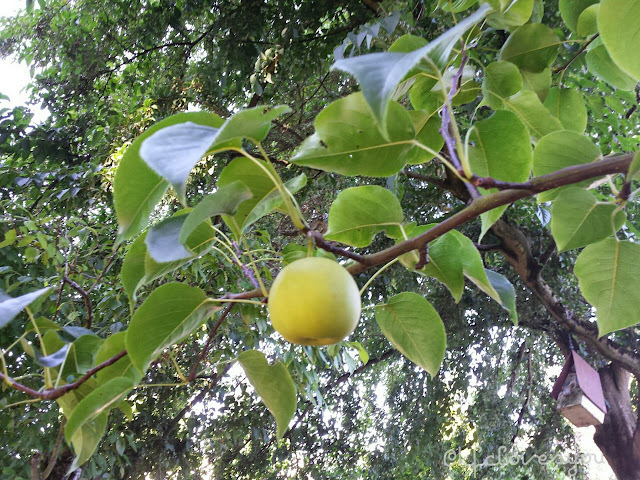 The fruits are almost ready to be picked! 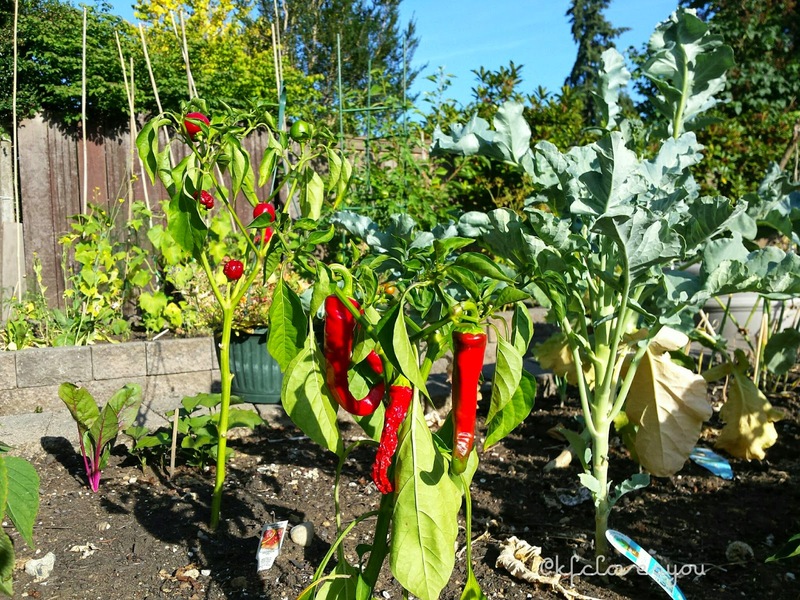 Hot chili peppers in the veggie garden. 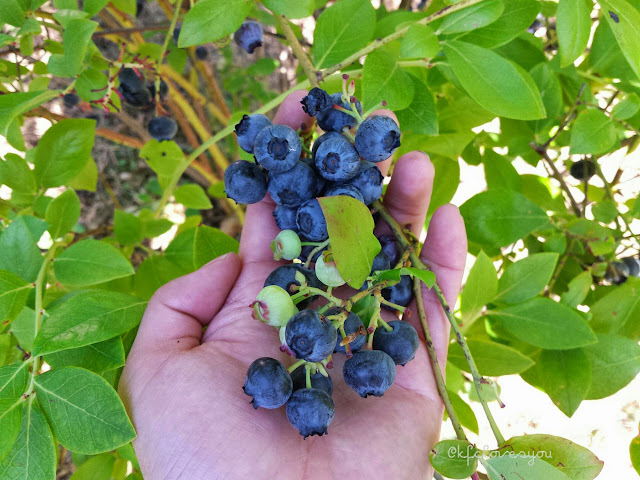 I'm super lucky to have fresh blueberry bushes in my yard and every Summer I get to pick them and eat them fresh. We don't use any pesticides or anything in our yard, so everything is completely natural and organic. Look how blue they are! 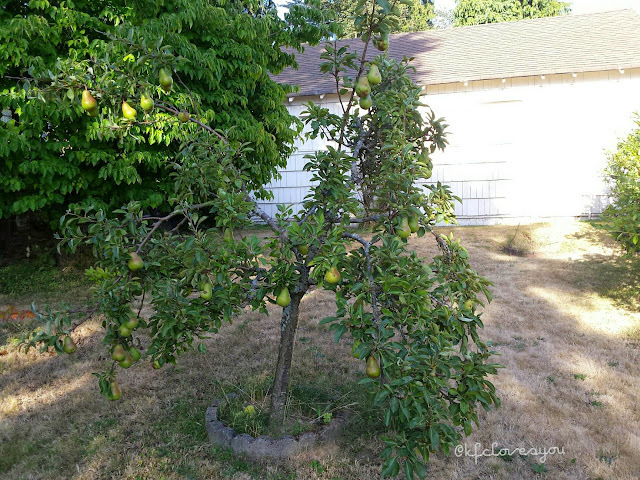 Our pear tree is almost ready too! This year, for some reason, we have an extra amount growing. I hope they're ready soon! 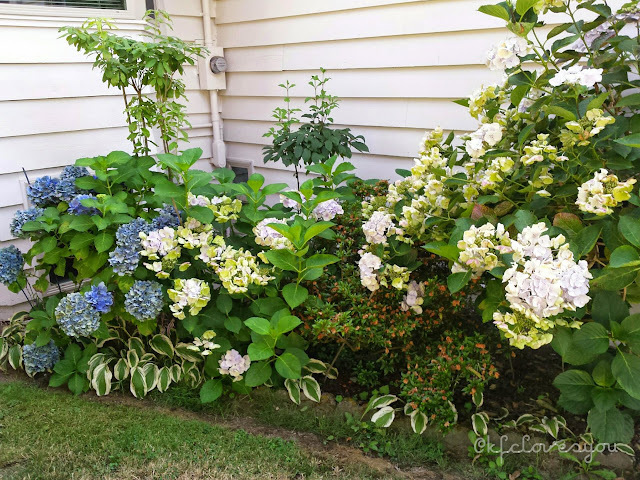 More hydrangeas and shrubbery by the house. The side corner table of herbs and gardening tools and such. Well, that is it for my Backyard Flora Summer series. I may have more later! 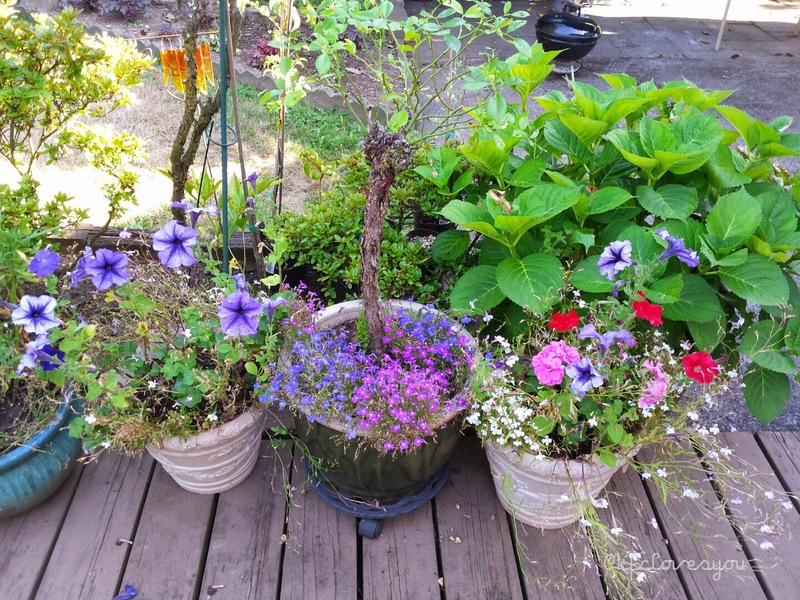 We'll just have to see what blooms. 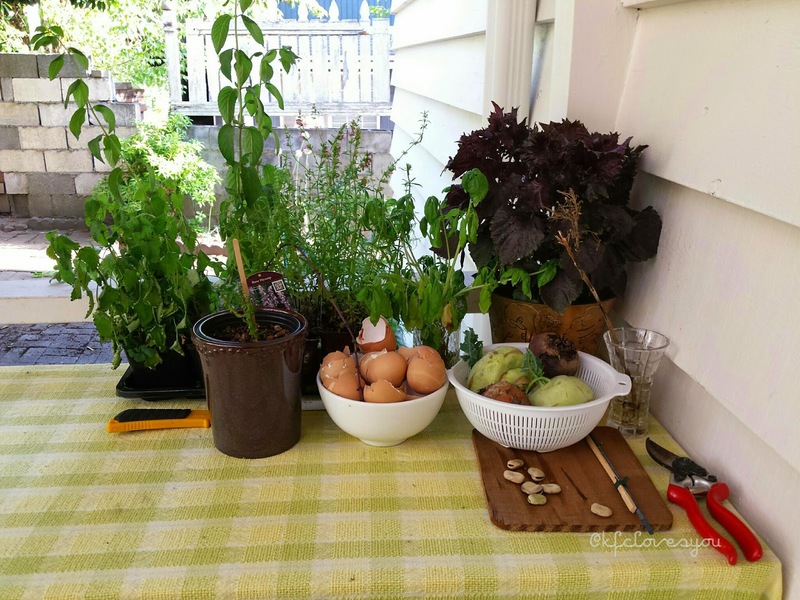 Readers, what are you favorite plants and summer fruits/veggies you look forward to seeing during the season? Let me know! You have a gorgeous backyard hun. Great pics, thx for sharing. Beautiful flowers. Wow, what a fruitful and colourful backyard. I'd love to have that! You're so lucky! Thank you! And yes, I love having blueberries since they're perfect for salads, smoothies, or just to munch on. And you're welcome! Hope you had a happy weekend! And thank you!! 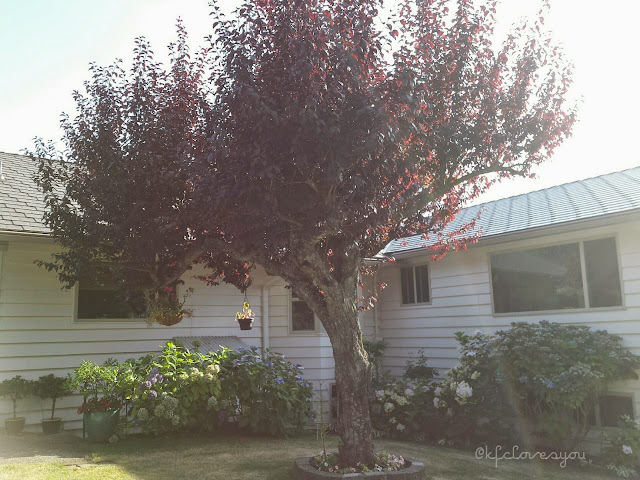 Your backyard is so beautiful ! I will stop by and look at your blog soon! Aww thanks girl! Not gonna lie, I love looking at them especially in the Summer!